Talking to the right people. Sharing your unique story. Getting your message in front of your audience. That’s the heart of what we do—and we love doing it. 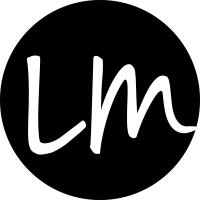 Since 2014, LM Connect has helped businesses in the Kansas City area develop and elevate their brand. From social media marketing to event planning, our team uses a one-of-a-kind approach for each client in order to target the right people with the right message. We’re a one-stop-shop for all things marketing, advertising and public relations. We work WITH you from beginning to end - from creating your brand to seeking out the “right” media outlets to growing your business. We do not use a “one size fits all” approach to share your story. The biggest compliment you can give us is to treat us like we are part of your team, not as a contractor. With over twenty years of experience in marketing, advertising and public relations, Laurie has built a strong foundation and continuously changes as the industry is shaped. She has the ability to masterfully connect clients with consumers through tried-and-true methods and distinct connections. She knows the Kansas City market like the back of her hand, and uses this knowledge to deliver innovative ideas to position her clients as experts within their designated industry. Specializing in advertising, social media engagement, public relations, consulting and strategizing, branding, business development, and fundraising/event planning, she is profoundly equipped to handle both small and large business marketing needs. A graduate from the University of Kansas with a degree in Journalism, Morrissey is originally from Omaha, but now resides in Prairie Village with her husband, three kids, and dog. She is a passionate wife, mother, and businesswoman, dedicated to serving others with loyalty and success. There’s nothing she loves more than helping her clients reach their full potential. Over 20 years ago, Allison Taylor sat at freshman orientation at the University of Kansas. While perusing the course catalog she noticed the major Journalism – Business Communications. She turned to her mom and said, “I think I’d be good at writing for businesses.” The platforms have changed over the years, but that’s indeed what she’s been doing for businesses both large and small. Now specializing in social media, she has worked with a variety of local Kansas City businesses to build brands, promote events, engage clients and more. She knows it’s critical to make a connection with consumers in these busy times. A graduate of the University of Kansas with a degree in Journalism – Business Communications, Taylor is originally from Wichita, but now resides in Prairie Village with her husband, two kids, and Jack Russell Terrier. She enjoys helping a business find the right voice to speak to its clients.